Weâ€™ve been chomping at the bit to get started on the project, but I wanted to take the opportunity to share how this started. Weâ€™ll also be sharing our experiences (that we can disclose ðŸ˜Š) throughout the research project in this blog. Our journey to receive this grant started six months ago back in June 2018. Emil and I (Tommy) had been discussing ways to raise capital and how to best develop our technology. With the applications for our tech being so broad, it was difficult deciding where to look and where to go. I wanted to find some focus, so I set out to see if I could find a Federal Grant that we could apply to. After only two hours of searching and familiarization, I found it! I had come across the NSF website on the top of Internet of Things (IoT). I literally dropped what I was doing, ran downstairs, shared with Emil what I had found, and insisted we drop everything and do this! The grant writing story is actually a bit crazy (the proposal was due in two weeks! 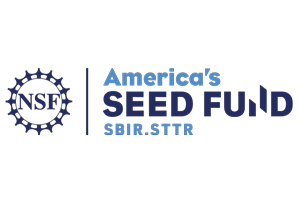 ), so Iâ€™ll save that for SGNT Awarded NSF SBIR Phase I Grant! â€“ The Inside Scoop â€“ Part 2. 465 W. St. Maryâ€™s Rd.